I’ve always done the right thing. In school I was the good student and at work I am and always have been a highly regarded employee. Once upon a time, people appreciated that! I have unfortunately learned the hard way the past few weeks that sure, it’s still appreciated. But not in the way I expected. My ideas – my thoughts – my goals – my hard work – can, and have been, snatched away in the blink of an eye. Maybe not surprising to some, who have been in business for a long time. But for me? Yes, it certainly is a surprise, but an even bigger disappointment. I’ve decided to be positive though and will think of this as a huge eye-opener and an invaluable learning experience! I have a new friend, Mallie Hart, who issued a blogging challenge through her business, Media Barista. Not just any blogging challenge, mind you – a blogging challenge with a “twist.” Like myself, she has a love of music, especially indie and alternative tunes. Some of the songs in this genre are really “out there,” and I didn’t think I could live up to such a bold challenge. She’s posting a blog a day this February, which I find to be beyond impressive! However, as I mentioned above, I ended up changing my own tune the past couple of weeks. I actually found a song that matches my circumstances perfectly. I’m using “Just a Girl” as my new theme song. This song verbalizes the beginning of the end of an era for me…because I’m now armed and ready for battle! Sure, I’m “just a girl in the world”; but no longer a naive one! I learned a lot the past year as an online marketing director for a small B2B firm (not IBM), which I will no longer name. I helped grow their business through blogging, SEO and networking. Before becoming involved in social media and online marketing for them, I built the company’s research department for them. When I started working there, they were doing research, but the process was neither effective nor efficient. Over the course of a few months, I put some best practices in place, continually evaluated and improved them, and put a team of individuals together. The team and research not only improved the company’s process…they exceeded customer’s expectations. Blew a few away, as a matter of fact. Credit and praise were bestowed on me and things were good. So, what’s a girl to do? This girl has decided enough already, she’s “had it up to here.” I am excited to have the chance to take hold of my ideas – my thoughts – my goals – my hard work. My life-long dream has been to start and run my own business…and I am about to do just that! I registered for my own LLC today and the ball is rolling! My final words for now? Pinterest — Your Pictures Really Have Become Worth a Thousand Words! My name is Jenn and I’m a Pin-a-holic. Boy, am I ever. I wasn’t a beta user on Pinterest but I got my invite request in as soon as I could. And once I got access it was all over for me — I am on the site regularly…okay, at least twice a day…okay sometimes more! I consider myself a “casual” user, however…not a professional by any stretch of the means. I love going on and seeing what people have posted from all over the world: places I will never see, clothes I will never be able to afford, and houses I can only dream about! And I am having a wonderful time creating my own “boards” where I have “borrowed” others’ pictures and ideas. I am not claiming these to be my own content…I only see this as a chance to share and have fun with pictures. Suddenly it has become more than just a site full of pretty pictures. Pinterest have been undergoing a lot of scrutiny lately in regards to trademark infringements, censorship, and potential content selling. As a result, Pinterest has done a super job (in my opinion) in letting everyone know exactly what their terms of service are — if you plan to use their site then you need to know their expectations and agree to them. My question — does anyone actually read this legalese? Words, words, words…what happened to just enjoying the pictures??? Oh well, terms of service are necessary in this day and age. I am a visual person and have always enjoyed pictures. I will date myself by asking this question — who remembers cutting out pictures from magazines and pasting them into notebooks or onto construction paper? Yes, I’m talking about the real stuff, not the computer stuff! This was before personal computers were even around! I remember creating a project in an Interior Design class that I had taken as a college post-graduate. This “project” was a binder completely comprised of pictures cut from magazines or copied from books — and I received an “A.” And don’t forget all those pictures we used to draw as kids that spent time on the family refrigerator! So where were the copywriters then? Will it get to the point where every child in school will have to add watermarks to the pictures they draw in their art classes? I certainly hope not. I have decided not to worry and I will remain a casual (okay, addicted) user of Pinterest. Although I do not agree with censorship in the slightest, I guess it is something that Pinterest decided was a necessity to some degree. In their “Acceptable Use Policy” they will be banning pins that explicitly encourage self-harm or self-abuse. Hmmm, I really hope that means they will outlaw all those exercise pins — but please, please not the foodie pins! I would like to hear your thoughts on Pinterest. If you are interested in following me and my boards you may do so: http://www.pinterest.com/jennhanford Hope to see you there. Pinterest – The Tale of A Simple Pin Gone Viral! Unless you have been living under a rock or really don’t keep up with social media you have at least heard of Pinterest by now. For those of you who really don’t know, Pinterest is a “virtual pinboard.” The site’s concept began in 2009 and launched as a closed beta in March, 2010. The site really started taking off in late 2011 after being listed among the top 50 websites of 2011 by Time magazine. According to data retrieved and recorded in Wikipedia: Pinterest entered the top 10 social networks according to Hitwise data with 11 million total visits per week in December 2011. In January 2012 it drove more referral traffic to retailers than Linked In, You Tube and Google+. The same month, the company was named the best New start up of 2011 by TechCrunch. I love social media but didn’t think I would find anything appealing about this pinboarding stuff. I love Twitter…sharing articles & words is my kind of thing. I am not planning weddings, I do not cook (although I love to eat), nor am I redecorating my house. Pinterest is supposed to be great for this things, by the way. But my curiosity finally got the best of me…I knew it was too late to be an early adopter, but I wanted to check it out anyway. I submitted a request for an invitation around the end of January. A couple of days later I got my login and decided to give it a shot. I was surprised that followers were automatically assigned to me…people I did not know. After checking around I found a few of my Facebook friends had accounts so I started following them to see what all the fuss was about. There were these boards & pins to figure out. I decided to start a simple one…pictures from my hometown. I found a lot of them using Google images and made a cute little board. I was so excited when I checked my email the next day to find that a friend had liked & “re-pinned” some of those for her board. Fun! I decided that board looked lonely by itself…so I made up a few others. Then I found more pins. Then I gained more followers. Still fun! So today, a few weeks later, I found a funny picture someone had shared on their Facebook several months ago. Being the sharer that I am, I had shared it as well, then forgot all about it. Well….now that Facebook has that timeline, all of these random things are reappearing — including this picture. It made me laugh all over again — so I decided I would load it as a pin to one of my boards where I stick things that I think are hilarious — even if others don’t! After only a couple of minutes I started receiving notifications from Pinterest that people were repinning & liking my pin. I had this happen a few times before — almost always people who were following me. Within 2 hours there suddenly almost 500 repins…of my one pin. I thought the system had a glitch or something. People I have never heard of were liking & repinning my pin. I checked the home page you get before you log on that allows you to view random pins…and sure enough, my pin was there on the front page! Wow! I just checked the number…now we are 4 hours in and my pin now been re-pinned 711 times (that sounds like a lucky number to me — I think I’d better go to Vegas soon!) and liked 189 times. I suddenly feel like a rock star — it’s awesome! I almost forgot — this is the link to my pin that took off! http://pinterest.com/pin/286119382546235373/ — Hope you find it as humorous as I did! Soooo, I just wanted to share my tale with you…if it can happen to me, it can happen to anyone! No, Pinterest has not paid me for this rather huge endorsement — the value is my internal happiness that by sharing something with all these people I perhaps created a little happiness in our rather large (but small) world! 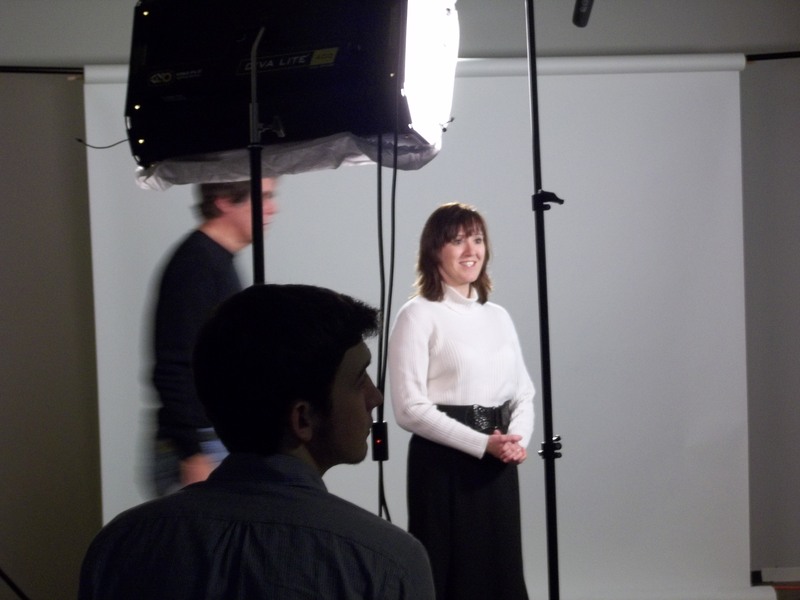 Lights, Camera, Action – B2B Video! Ever since I was a very young girl I wanted to be in front of the camera. Whether for TV, movies, or even the local news, I wanted to be a star. What little girl or boy (or even grown-up girl or boy) doesn’t, right? I finally got my first chance to be in a video this past December. It is highly unlikely that I will be awarded an Oscar or Emmy for my performance. What I did receive though was just as important to me — a great experience in creating a B2B video for my company. I agonized for days before my video shoot. What will I say? What will I wear? How should I fix my hair? I worried for nothing…when the day of the shoot finally arrived I was ready! I wanted to share some things that helped me so you can be ready when the time comes for you. Watch videos of other people that are saying things that are similar to what your message will be. YouTube is a super resource and has plenty of great examples to follow. Become very familiar with your message. Rehearse in front of a mirror, in front of your family, or even in front of your pets. Keep your clothing choices simple — avoid wearing all black or all white or complex patterns. Same with jewelry – keep it minimal and not flashy. Just be yourself in front of the camera — act natural, like you are talking to a friend. Don’t be afraid to gesture or move your head — within reason of course. My experience turned out to be a lot of fun. In all honesty, it took several times to get it right. They could probably create a full-length feature with just the outtakes. Even so, when given another opportunity, I will certainly jump at the chance to star in another B2B video for my company! I welcome your comments or suggestions as well! Outbound marketing involves directly contacting potential clients to tell them about you and your solutions. To use a fishing analogy, your company is expected to cast a wide enough net in order to capture at least a few interested members from a huge audience. Conversely, inbound strategies let potential clients who are specifically interested in your offerings find and come to you. This concentration on being found by interested parties rather than going after them is certainly an efficient and effective use of the fewer resources available in a smaller business. This efficiency can also be appreciated for B2B companies with limited marketing budgets and multiple time constraints. When you are looking for services where do you go first? I know I personally rely on the internet and specific search engines to find everything these days. I believe almost anyone can create an effective Boolean search on the internet that will allow them to locate what they need within a few seconds. Small businesses, even those with a focus on B2B marketing, should be using inbound marketing tools like social media, SEO, and internet advertising, to help them be easily found via search engines. Many of these tools are free (or inexpensive), efficient, and very user-friendly. Even the smallest of B2B business will find that inbound strategies are affordable and viable, especially with their high levels of efficiency and effectiveness. Inbound strategies provide an additional and beneficial component as a cost-effective advertising tool for small businesses with a B2B focus. This is done by borrowing the credibility and genuine interest of your leads, both actual and potential. When interested parties have located your company via SEO and social media, they are more likely to share your information with their friends and followers. Then those friends and followers will share with their friends and followers — and so on and so on. Many of these B2B companies have their own online followings through their websites, Facebook, Twitter, LinkedIn or blogs. Their names and/or reputations may even be more recognizable than your own. This association will be beneficial for all parties who are involved. In summary, your small business would be able to connect with many more potential leads in cost-effective ways and at a fraction of the cost of direct marketing campaigns. One of the best parts is that the leads have found you and are specifically interested in what you have to offer. No cold-calling or hard-selling. What’s not to like about that? Have No Fear – B2B Blogging Is Here! I have read many blogs recently stating the importance of corporate blogging and why your business needs a blog. It’s all over the internet so it must be true, right? Seriously though, the importance of corporate blogging is certainly getting more attention these days. Blogs are being touted as a significant and major content marketing tool for B2B…and it looks like it is here to stay. According to Technorati Media’s State of the Blogosphere 2011 report, corporate bloggers currently make up 8% of the blogosphere. 64% of these bloggers feel their blogs have given them greater visibility in their industry and 63% within their company. (http://technorati.com/blogging/article/state-of-the-blogosphere-2011-introduction/). When I look at these numbers it seems that we have an extremely low percentage of B2B bloggers out there in regards to the number of corporations out there. So why aren’t more companies lending their content to the social media marketing world? My personal opinion is that a certain level of fear is involved. My advice? Face that fear head-on…your business and your clients will thank you! A question that some B2B marketers may still be asking is, “Why should I blog”? There is a common misconception in the B2B world that no one in the industry is really out there reading blogs. Have no fear – blogs are indeed being read and taken seriously. Why? Well, because behind the business-to-business façade is a human being. Yes there are people at businesses who are interested in engaging with other people during their buying cycle. A blog is indeed an invaluable way to tell them about your brand. Also, as a B2B blogger, you will be lending your own personal voice to the blog. This helps potential buyers feel a connection they may not otherwise feel with just a whitepaper or eBook. Another fear is that B2B blogging and social media marketing has no measurable ROI. Well, maybe that is the case. However, numbers are ubiquitous and many people are skeptical when they see statistics. So have no fear – online marketing is proven to be an effective means of marketing and the blog is certainly an important component. As long as your blog content has something that sparks interest in your audience (and potential clients) and does not come across as a sales pitch, you are likely to see results in the forms of engagement, lead generation and conversions. So have no fear – blogging in the B2B world is here to stay, and for many good reasons. I would like to hear from you in regards to whether you blog or any other thoughts you may have on B2B blogging. B2B -- it's time to go video! The phrase “content is king” has become a mantra in today’s inbound online marketing world. 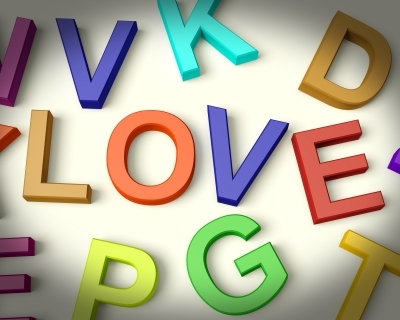 I certainly agree that content is key in B2B inbound marketing. It is important to note that the more compelling the content, the more interesting it becomes to potential clients. Many B2B companies are turning to video as a way to create affective content that educates as well as entertains their potential clients, especially those clients who are seeking solutions online. 1) Determine the type of content that will spark the most interest in your main decision-maker. The more interest that is generated, the more likely this person will be to share your video and message with others. 2) Create video content that will allow the purchaser to relate to what they are viewing, preferably with an amusing or witty approach. We are all more interested in content where we can see ourselves in the situations we are viewing. 3) Design content so that your potential clients become aware and engaged with your products or solutions. It is human nature to tune out overt sales pitches. As of February 2011 YouTube receives 490 million unique users worldwide per month and there are more than 400 tweets per minute containing a YouTube link. http://mashable.com/2011/02/19/youtube-facts/ Very few of these videos currently relate to B2B inbound marketing, but it certainly means that there are a lot of people out there watching videos. With increasing awareness and knowledge, more people within B2B companies will begin to harness their inner creativity. This will consequently drive video content in a forward direction for inbound online marketing. I read a lot of blogs these days, especially those pertaining to B2B Marketing. Jeffrey L. Cohen, the managing editor of SocialMediaB2B.com, is one of my personal favorites. His writing is clear-cut, to-the-point, and easy to understand. He also puts lists together – and I truly adore lists. I recently came across a blog he posted on December 13, 2010, called “11 Predictions for B2B Social Media in 2011.” We are quickly closing in on the final quarter of 2011 so I thought it might be interesting to see how his predictions are holding up. Granted, there are still 3 months left — but it will be 2012 before we know it. By then there will be new predictions, I’m sure. Think about QR (Quick Response) codes – they seem to have gone viral this year. You can find them all over the place – from shampoo bottles to airline boarding passes. And Smart Phone applications? There seems to be one for anything imaginable. Yes, there’s an app for that. 2011 has shown increased usage of websites with Open APIs like HootSuite and TweetDeck by companies offering B2B solutions. These sites combine major social networks (Twitter, Facebook, and LinkedIn, for example) into a single, uniform interface, making it easier to track and respond to posts from their clients. The website sharing is seamless and easy to use. HootSuite and TweetDeck also make it extremely easy to pull data and analytics so you can instantly see who is engaging and how often. This should be more appealing to B2B social media managers who may have only limited knowledge of APIs and the technology behind them. 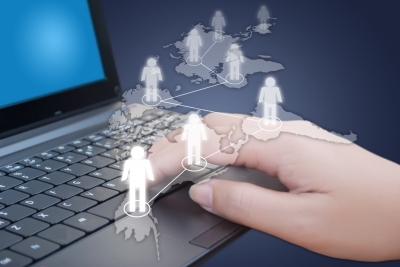 There are still far fewer social media success stories in the B2B realm than B2C. That being said, there has been more focus on social media by B2B companies so the success stories have been more prevalent in 2011 than in previous years. I expect this trend will continue due to the diligence and persistence of B2B bloggers. Slowly but surely this is becoming reality. Once again, B2B bloggers are making this happen with their use of pertinent long-tail keywords and an increased mastery of the content. Twitter, Facebook and LinkedIn still continue to reign supreme in 2011. 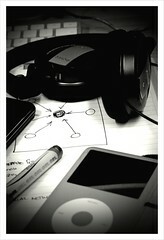 We may see this more in 2012 since B2B companies are still warming up to social media in 2011. Absolutely this has become increasingly important. B2B clients have Twitter and Facebook accounts, both personal and otherwise – and they are not afraid to use them. As the focus on measuring client engagement has increased in the B2B world, so has the focus on communicating with their clients via social media. And understanding that once a post is made – positive or negative – it’s really out there for the world to see. Although even more of these sites have appeared in 2011 – and Groupon has even flirted with an IPO – I haven’t seen that this increase has applied at all to B2B. This has certainly been the case so far in 2011 and does not appear to be falling off. Unfortunately this may be true. Luckily, most companies are realizing that results aren’t instant – just like the B2B companies themselves, their social media will require time, patience, and understanding. So what trends do you see continuing into the final quarter of 2011 and into 2012? I invite you to share your thoughts & predictions. A question that is commonly asked in B2B (Business-to-Business) marketing goes something like “how many opportunities do I need to pursue in order to close a certain amount of business”? A marketing pipeline can provide the answer to this question. 1) Creating a pipeline begins with identifying the leads you should be tracking. A lead is anyone who may become a buyer for the solution your company is providing. Lead generation can be a lengthy process depending on how they are obtained. Inbound leads may be easier to go after since they are responding directly to your company’s website links or advertisements. Outbound leads require more effort and involve calling (cold and warm), following up, and asking for referrals. 2) The next step in the pipeline is to determine how many leads you will pursue in order to meet the goals that have been set by your company. A lead that is qualified becomes an opportunity. As the number of qualified leads/opportunities increases, so does the possibility of converting those leads into clients. 3) The next step is to identify the opportunities that have a likelihood of closing as a win. These are the opportunities where such criteria as pricing, closing date, and solution specifications have been agreed upon by both parties. Perhaps a contract has even been prepared and reviewed. 4) The final step in the pipeline process is the close – win or lose. Either way, you are ready to start again fresh. When Will Gender Bias Ever End? There’s no denying that women in business have come a long way, but some say gender discrimination continues to hold them back. Times are changing though and women have been emerging as leaders in business for quite some time. The battle for women as leaders continues on with no end in sight. Will gender bias ever end? Those are my sentiments exactly. If it’s the results that count, then why should anyone be concerned with the way successful results are achieved? I have a co-worker who adamantly pointed out today that having a woman as a spokesperson for one of our companies only makes him think that it will appear as if we are exploiting a female to “pander” to men. He feels this is ineffective in the long run and insulting to our clients. I disagreed with him by saying that if a woman is the right person to deliver the company’s message with the passion and knowledge it deserves, then gender should not even be a consideration. It would not be considered “pandering,” especially now that we are part of the 21st century. Women in business face enough adversity as it is…we should not have to face such bias by our own male coworkers on top of it. I would like to know your thoughts on how women are treated in your workplace. Are they seen as being beneficial or does gender bias still exist?